Anonymous hackers announce on twitter that Apple can be there next target. They expose one SQL vulnerability on Apple domain with One table "Users" data. 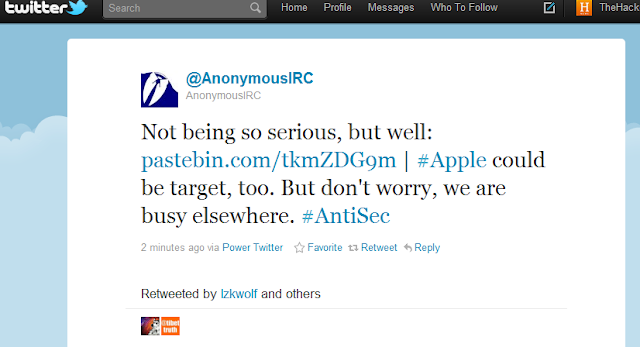 These all hacks now consider under Operation Antisec by Anonymous and Lulzsec Members.